Enrique Alvarez, well known as one of the best violinists in Cuba, was born in Camaguey, on September 10, 1952, in a very talented musical family which includes his father, the legendary Nené Alvarez, and his brother Adalberto Alvarez. Enrique Alvarez is graduated from the National School of Art where he studied viola. He formed his group Charanga Latina in May, 1992, in Havana City, putting together 14 of the best musicians in Cuba, all of them graduated from the most prestigious schools in the island. The repertoire of this popular group is shaped by genres such as Salsa, Son, Bolero, Cha cha chá, Mambo, Cumbia and Merengue. In 2002 they won the Grand Award and the Popularity Prize in the Cuban Music Contest Adolfo Guzmán, sponsored by the Cuban Institute of Radio and Television. They have toured along Europe, Africa and Latin America, having always the approval by spectators and experts, and they hav e shared the stage with relevant artists as Alfredo de la Fe, Papo Lucca and Oscar D'León. 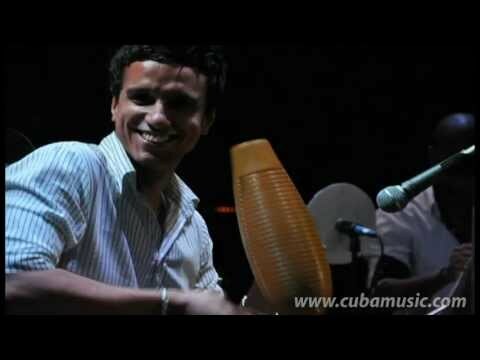 Enrique Alvarez's discography includes titles like Para mi santo, presented in the New York Salsa Festival, and Mi violín Charanguero, a unique blend of traditional charanga and modern Cuban salsa, with rhythms full of excitement as the guarantee to make you dance.